Gajjar Hall, Nr. Law Garden, Ellisbridge, Ahmedabad. 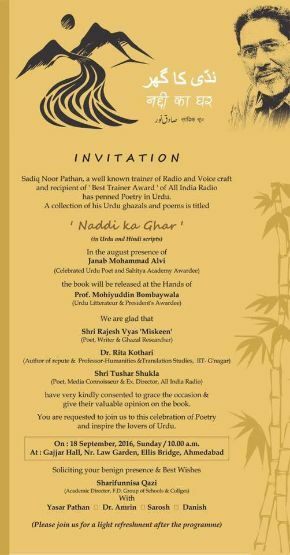 A book launch event titled as ‘Naddi Ka Ghar’, in which poet Sadiq Noor Pathan has penned a collection of his Urdu ghazals and poems.